The least glamorous of our operations, but a vital process in the chain. All our print finishing team are highly skilled guillotine operators, promoting accuracy and clean cuts on the most demanding of jobs. Four different folding machines all have their own specific specialism, whilst providing exceptional back up for each other and flexibility. 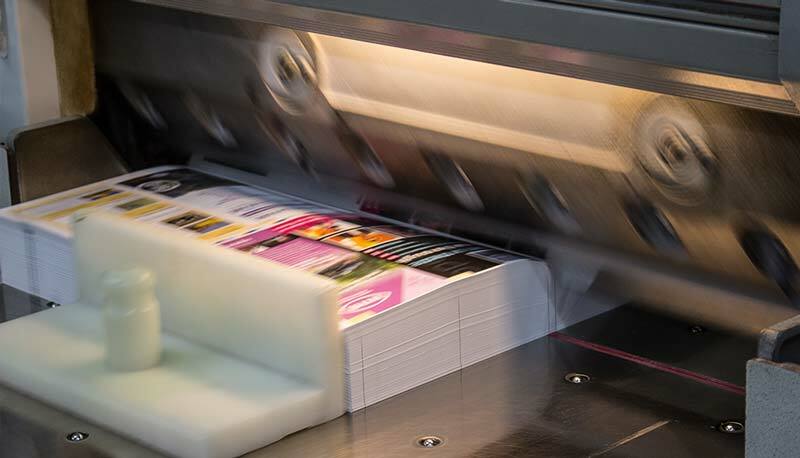 We can handle everything from a simple short run digital fold, through long run multi-leaflet folds and on to complex micro folds, which are commonly used for pocket timetables and pharmaceutical products. We also have facility to produce a closed ‘gate fold’ leaflet or card through the use of our additional ‘gate-fold’ folding unit. All our folds benefit from the ability to include a ‘tri-crease’. This facilitates folding and prevents ‘cracking’ on the fold. 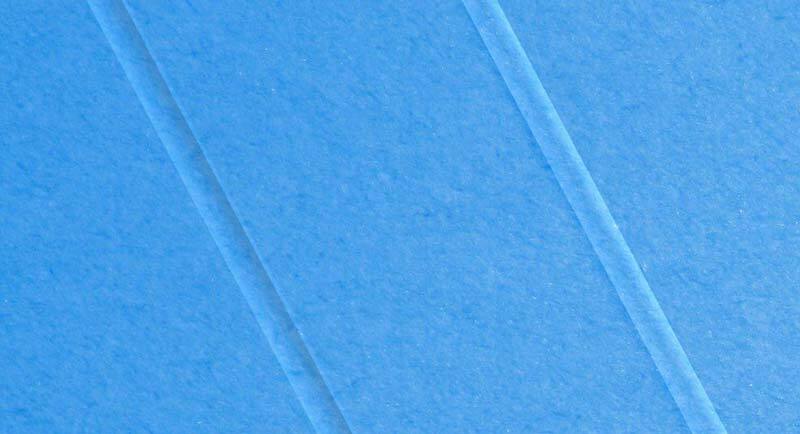 Standard creasing of card can be achieved to your own specifications or to our own and is employed on all card based products. We also have a digital print creasing and fold machine which is used for all our short run creasing and folding requirements. 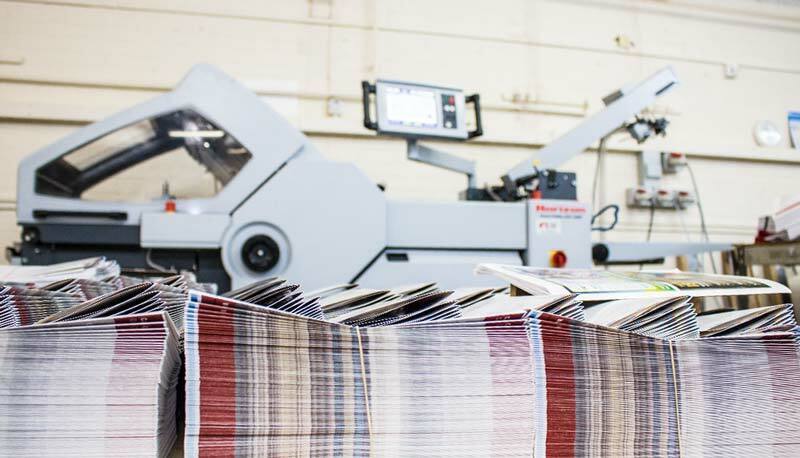 We have two brochure collating and stitching machines and methods, which means that we can handle short run digital brochure production, as well as medium and long run brochure and programme production to a very high quality at competitive rates. Multiple punching and drilling can be achieved in-house and is deployed on many products. 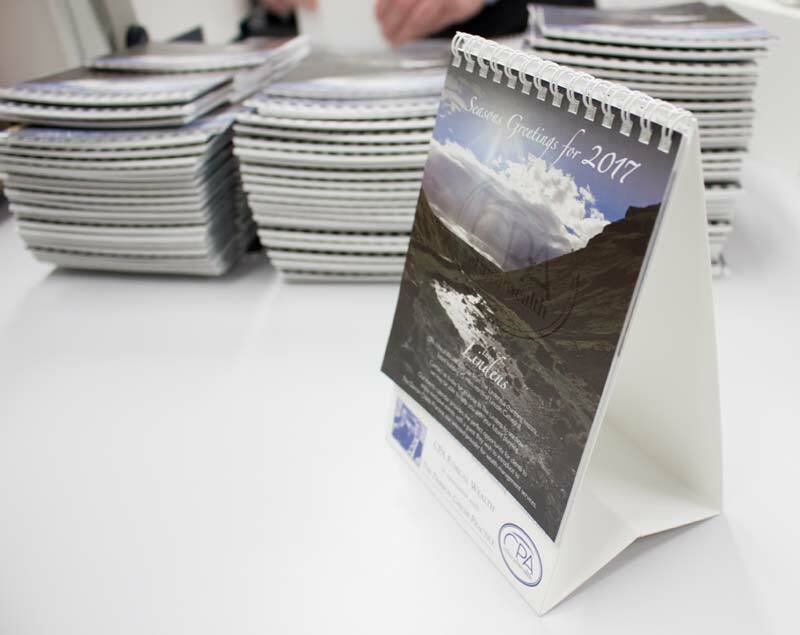 We can produce both digital short run and medium run calendars using either a stitched or wirobinding method. 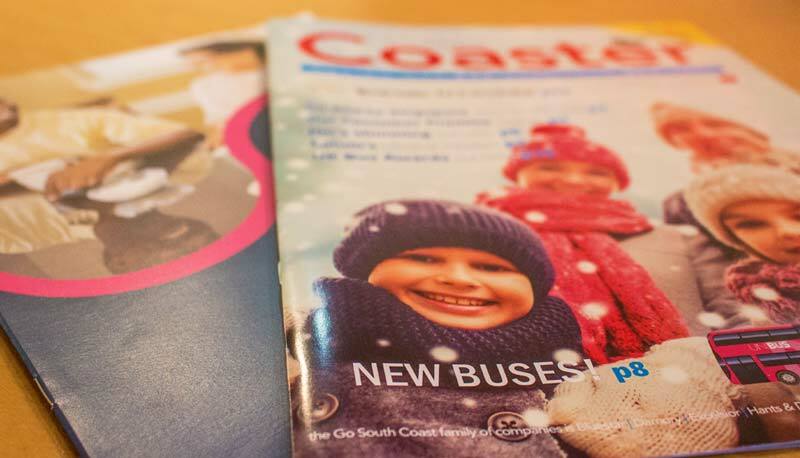 Produced in-house on short run digital documents, but we outsource all our medium and long run perfect binding (PUR) work to a specialist binding company, with whom we have a long-standing relationship. Choose from a range of laminates for your short run digital work: MATT, SATIN, GLOSS & TOUCH LAMINATES (suede finish).